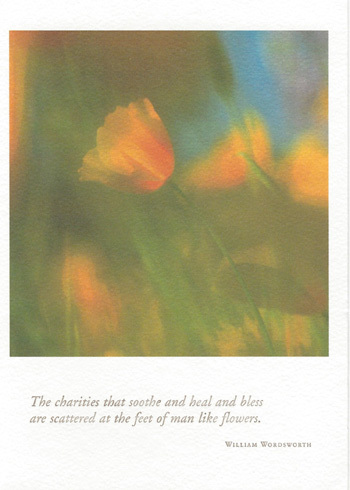 CB114 The charities that soothe and heal and bless are scattered at the feet of man like flowers. This card is 5" x 7", printed on textured recycled paper using soy based inks and is blank inside. Cello wrapped with textured envelope. The front quote is letterpress printed with a soft brown foil.